The Reverse Flash has been tracking down and eliminating others that are connected to the Speed Force for the last few issues...now it’s down to just him, the Flash and Iris West! Well, technically Barry Allen too, since (at least as far as we know) Reverse Flash doesn’t know that Flash IS Barry. In any case, Flash decides to take Iris under his direct protection and even makes her a new outfit that matches his, as a way of blocking Reverse Flash’s ability to sense where she is! Iris still hasn’t manifested any powers, but now that she’s got a cool superhero costume, it can only be a matter of time, right? 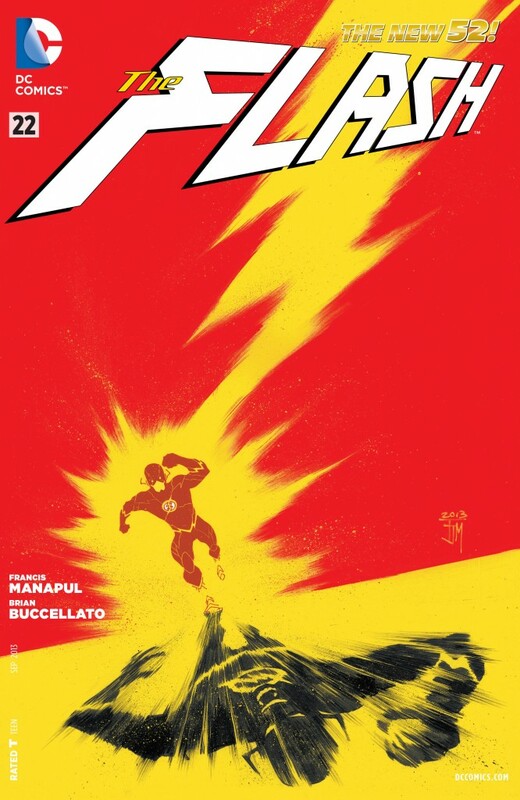 The Flash is so consistently beautifully drawn and interestingly written that I really don’t have anything new to say...it’s an awesome book! Gotta love that cover image, too - so pretty. Great work! Hey I literally JUST heard that due to the success of the TV show Arrow, their giving The Flash his own show! Plus a rumored movie in 2016 and the animated movie Flashpoint just released! Things are looking up for The World's Fastest Man! Justice League Dark #22 - "Your heroes still scramble to make sense of the board...but the game is already won." 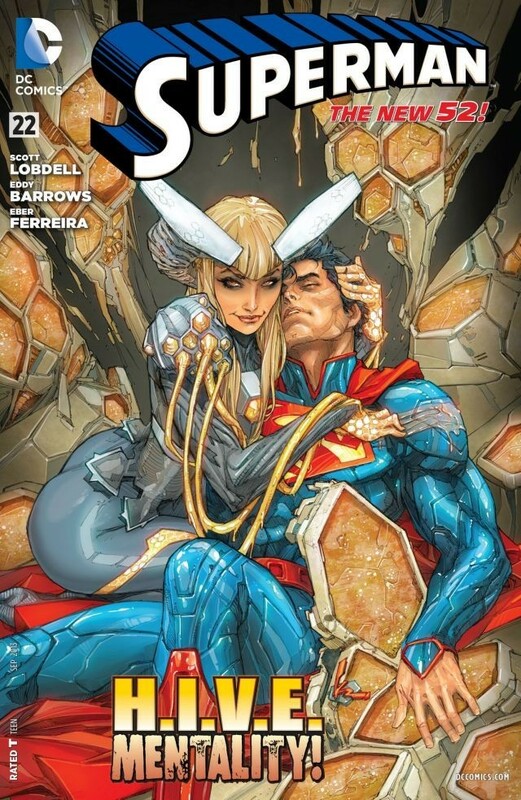 "Trinity War” part three is here and things are starting to heat up as the various Leagues all try to figure out just exactly what happened on the battlefield and whether or not Superman killed Dr. Light! Assuming that he did NOT then they need to know what REALLY happened?? How to solve that mystery is an issue of great contention, as Batman, Superman and Wonder Woman all have different approaches. 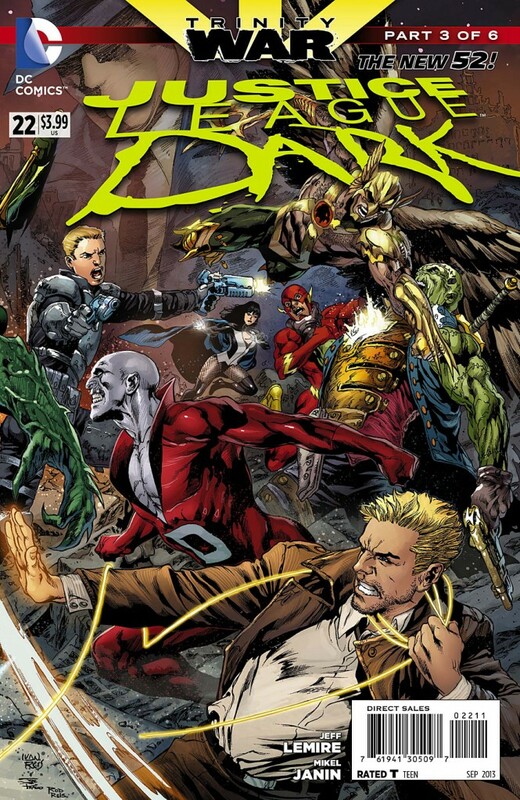 All of the other heroes from the Justice League, the JLA and of course JL DARK have their own opinions and each side with the Trinity member who makes the most sense to them, effectively scrambling all 3 teams. Pretty cool! So far “Trinity War” has been easily the best big cross-over of the New 52...I’m leaving a LOT of plot out in these little summaries, but it’s been pretty intricate! There’s a lot of misdirection and several different possible solutions to the mystery of what’s happening. It's fascinating! Which explanation will be true? Wait and see! 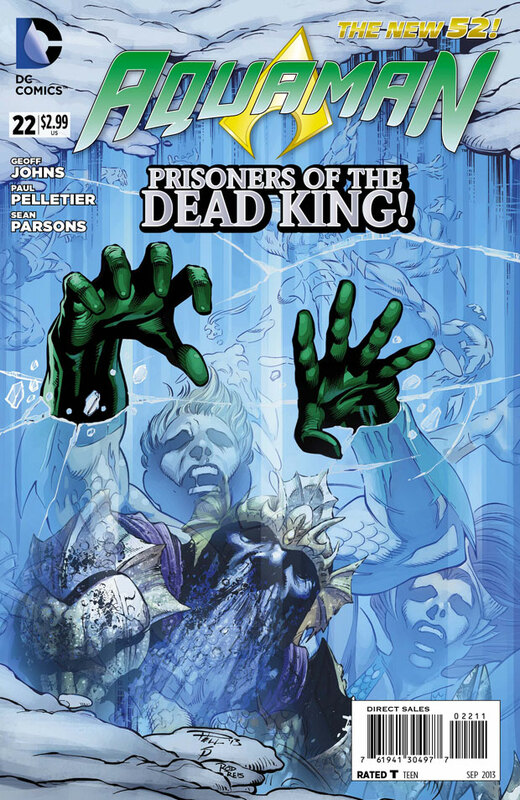 Aquaman has left Atlantis for the Bermuda Triangle and the secret underwater prison colony of Xebel to find his Queen, Mera! Once there, he also finds the Dead King! Battles must be fought and some secrets are revealed, which, if true, could alter Aquaman’s life forever! It’s a psionic battle for control of H.I.V.E. between grotesquely large-noggined Hector Hammond and hot bee-girl Queen Bee with Superman caught in the middle! The Man of Steel may be able to lift mountains and shoot fire from his eyes, but when it comes to psychic battle, he’s got some real deficiencies! Also, who or what are the Twenty and what sort of threat do they present to Metropolis? And what do both the Twenty and H.I.V.E. have to do with Brainiac?!?! This was an interesting issue that ties together a lot of the wacky random plot-lines of the last several issues! There’s also some nice smaller character moments, including a scene between Clark and Cat Grant that I really liked. Guest artist Eddie Barrows did some good work too! Nice! ANNNND...just like that we're done for another week. Time flies, eh? Tomorrow's New Comic Book Day features a lot of new Annuals (5th Wednesday of the month!) 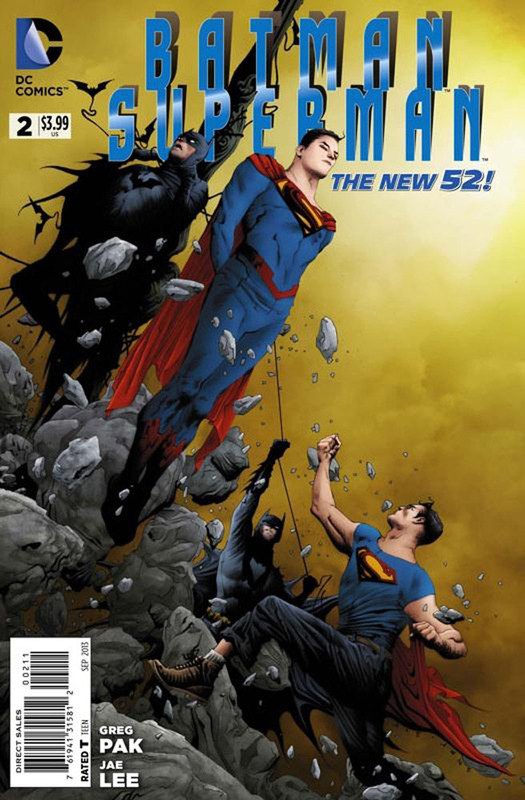 as well as the FINAL ISSUE of Batman, Incorporated!!! Can't miss that!! Have a great week everyone! August on it's way....Peace!